After a two-hour drive from Inverness airport, we were welcomed into the lobby of the Torridon, Scotland by a roaring fire. Stag heads on the wall peered down protectively over us. We were glad to be here. It gets dark early this far north, in Wester Ross in the northwest Highlands, so the view from our room at the front of the building would have to wait. Until then there was a gorgeous bathroom with claw-foot bath and giant sink to inspect, adjoining the well-appointed bedroom. The huge bed was being looked after by a cuddly Highland cow (or coo as they say here), and a pair of armchairs invited us to rest our weary legs. We could just make out the silhouette of a giant mountain outside our window. 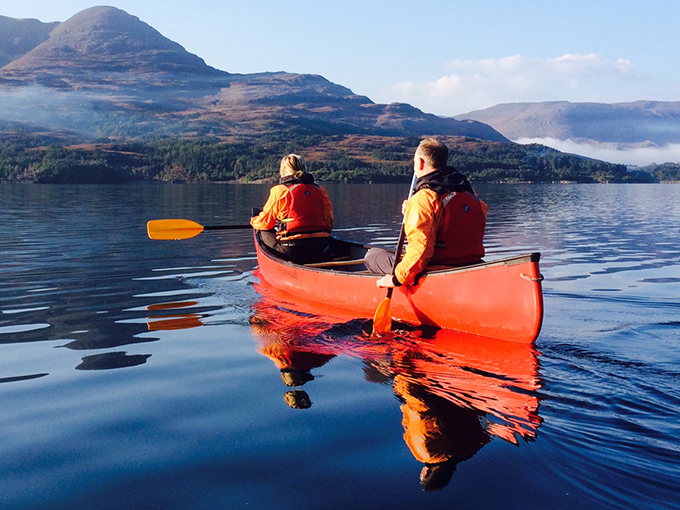 The Torridon Hotel overlooks Upper Loch Torridon, which goes all the way out to sea and the mountain, as we were to discover, is one of three that guard over the water. The 3 AA Rosette 1887 fine-dining restaurant is suitably refined and the dishes are delicious, with chef Ross Stovold serving up a daily changing four- or seven-course menu. After a tasty amuse bouche, we started with the lamb belly with anchovy, spring onion, cerney ash and pickled white cabbage, as well as the Wester Ross salmon with sea buckthorn, sea vegetables, and grilled lettuce. For main, the halibut with leek, Skye mussels, cured ham and butter milk was melt-in-your-mouth, while the Beinn Eighe venison (from one of the trio of peaks) with parsnip, pear and oyster mushroom also hit the right spot. Make sure you save room for dessert – my companion couldn’t praise the ginger bread with Lord Lambourne apple, whipped custard and pearl barley enough, while I couldn’t resist the selection of British cheeses, including Strathdon Blue, made right here in the Highlands. After dinner, we decided to check out the Whisky Bar. It’s a cosy, welcoming room with over 350 whiskies and a fair few gins too – 70% of the UK’s gin is distilled in Scotland. 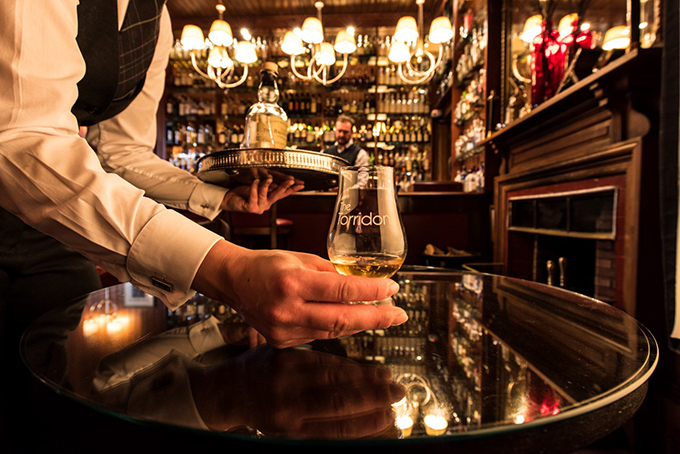 Bar staff are very knowledgeable and can guide you through the whiskies to find the perfect dram for you. After a careful consultation I chose a Bunnahabhain from the isle of Islay, which was very nice. They make a mean cocktail here too. 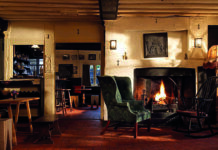 The lounge and bar areas are lovely places to unwind, read your book, play a board game – there is even a carefully positioned telescope for guests to use by one of the windows. 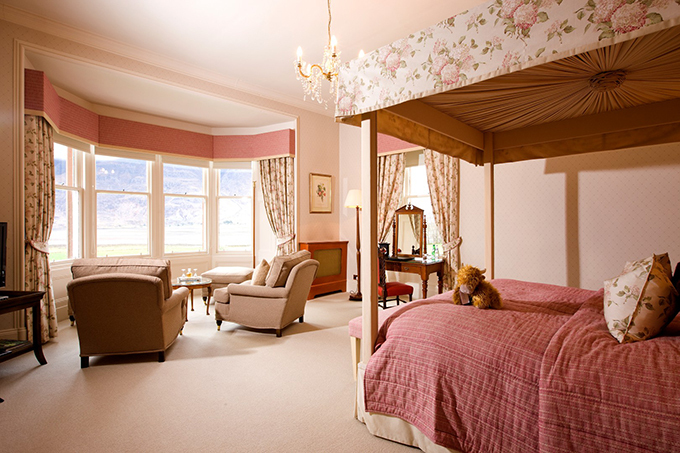 Look out for the astronomy ceiling in honour of Queen Victoria in the lounge – the Torridon was once the home of Ada Lovelace (Lord Byron’s daughter) and her husband. But as nice as the hotel and its neighbouring inn are, the real reason to visit this area is for the sublime scenery. 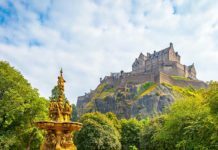 You may choose to just stroll the acres of grounds for ever-changing views of the loch and mountains, or perhaps you’d like to venture further afield to the beautiful loch of Diabaig or the wild peninsula of Applecross. Drivers, be prepared for hairpin bends and steep inclines – all part of the adventure. 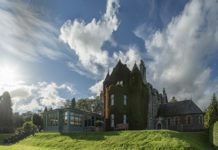 Alternatively, join in one of the activities offered free to guests of the hotel, such as archery or sea kayaking (depending on the season). Guests of the neighbouring (and still very good) inn will have to pay separately. Local walks include following a 25-minute flat road to feed deer at the nearby deer farm. Be sure to wave at the coos as you pass. 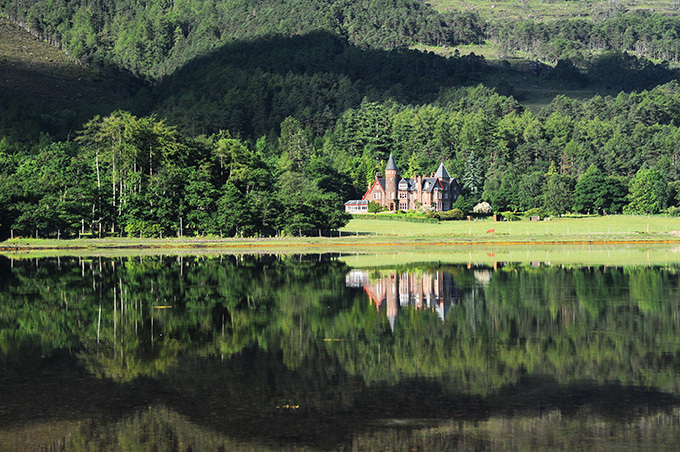 The deer didn’t play ball with us – though we could see them, they didn’t come over to the fence – but we did get lovely views of the hotel from the other side of the loch. On our way back to the hotel a wild stag ran across our path about 100 yards in front, which was quite exciting (if a little scary). Again, it’s all part of the adventure. Welcome to Scotland.